Italian food blog – an Anglo Italian sharing how to live the Italian lifestyle in London; recipes, restaurants, travel & all other things Italian. Cooking pasta is one of my biggest loves. However, I didn’t always know what I was doing. 10 years ago, I learnt a very important lesson from my Pops. He made sure I learnt how to cook pasta. Having an Italian father, if there was one thing he wanted to ensure I knew how to do, it was how to cook pasta properly. I’ll never forget the day when I rushed dinner – I was rustling up a simple dish of spaghetti and tomato sauce. I literally threw a pan filled with water on the hob, chucked in the pasta, cooked it, drained it and served it with a spoonful of tomato sauce on top. A short moment later after serving, he got up from his chair carrying the bowl of pasta, walked into the kitchen and chucked it all in the bin. He then turned to me and said, ‘Start again, no daughter of mine is going to cook pasta like that’. I felt so ashamed as he genuinely looked really disappointed. At the time it seemed quite harsh but wouldn’t be doing what I am doing, so will alway be forever grateful. From that moment, it’s fair to say that I learnt my lesson and have been cooking pasta the way you should since then. Here are my top 5 tips for cooking the best pasta..EVER!! 1. 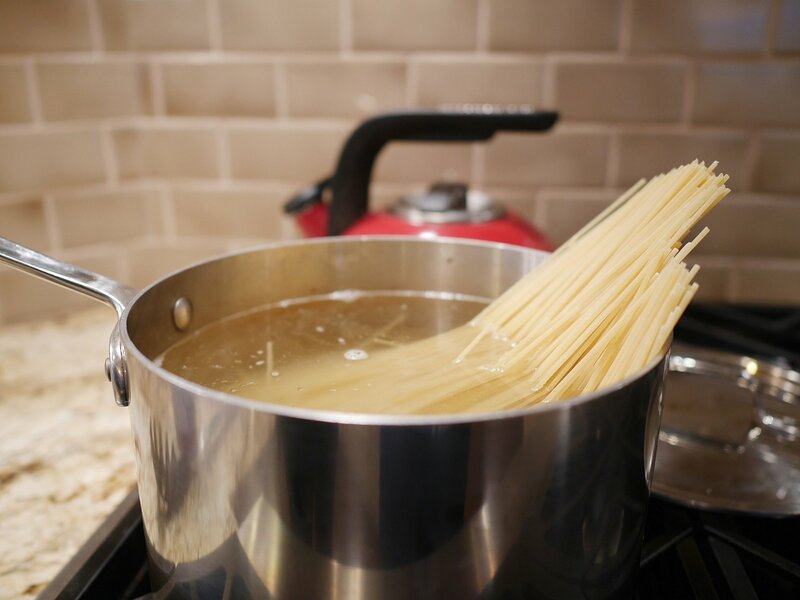 Make sure you cook your pasta in a large saucepan (long cylinder shape – ideal). It’s super important that you cook your pasta in a saucepan that is big enough for it to move freely around in. If you overcrowd your pasta in a smaller pot, your pasta will not cook evenly. 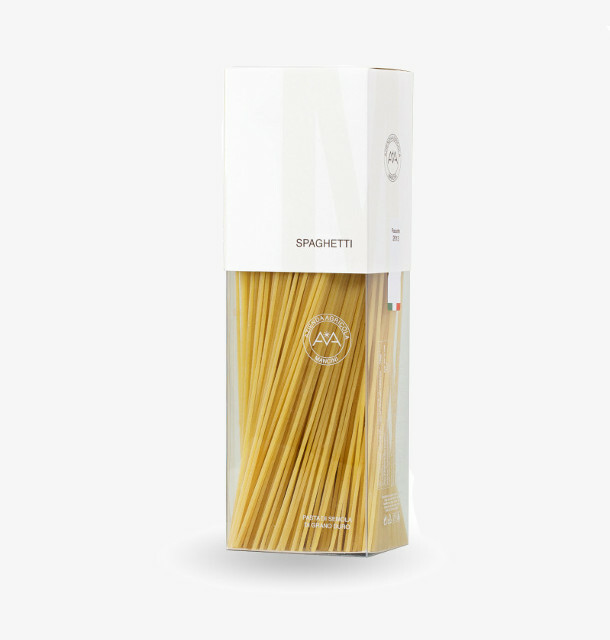 Every 100g of Pasta should be cooked in 1 litre of boiling water which is seasoned with 6g of salt. However, as most of you probably won’t be bothered to measure it, a generous amount is needed. You want the water to taste like the sea. (The salt must added to the water 30 seconds before the pasta is added to the water). 3. Use the cooking instructions on the packet. Every packet of pasta will give instructions on how long it takes to cook. A minute before the instructed cooking time, I always check my pasta by tasting a little. I like my pasta ‘al dente’ which means with a bite. 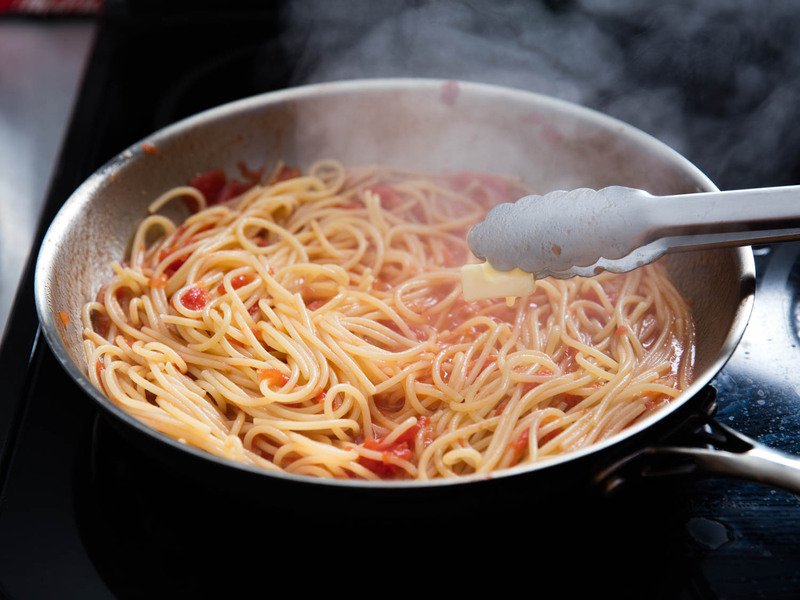 If the pasta has the right bite for you by this point then, drain and serve with your sauce. Or cook until instructed. Whatever you do, dont cook it for longer. You will end with a bowl of sticky mushy pasta. In Italy there is a saying ‘pasta doesn’t like to be alone’. From the moment you add that pasta to that pot of boiling water, don’t be too far away. Returning late to your pasta cooking, means it is likely to be overcooked and we don’t want that do we! Pasta should be eaten ‘al dente’ with a bite. As soon as you cook and drain your pasta, stir it into your pasta sauce as soon as possible. The longer you wait to mix together your sauce and pasta, the stickier your pasta becomes and makes it more difficult to stir into your sauce. Plus pasta is at its best when served hot!! One last thing! To enhance your pasta experience, I would recommend to spend a few more pence on a good pasta brand. Trust me. I’m a pasta expert! It really does make a difference. De Cecco and Rummo (who has a great gluten free and whole wheat selection) are great commercial pasta brands that you can find in most supermarkets. If you have a few more quids to spare, invest in Mancini, a premium pasta brand from the central Italian region of Le Marche. Not many places stock it but in London you can find it at Larder and Melrose and Morgan. If you’re a pasta aficonado like me, you will appreciate the price you pay for texture and flavour. Its incredible. Hope you find these tips to cooking pasta useful! 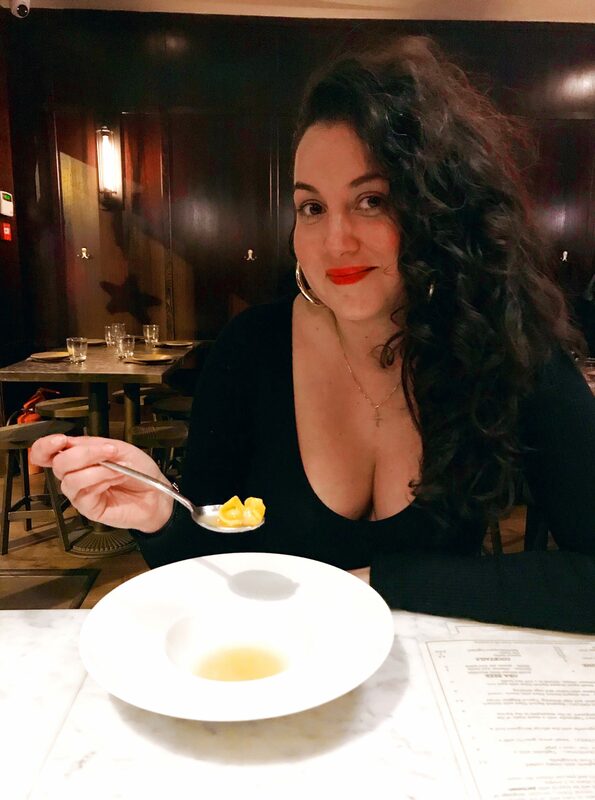 An Anglo Italian food blogger based in London with an Italian food obsession. Join me on my journey and discover the best recipes, where to eat and buy the best Italian food and much much more.